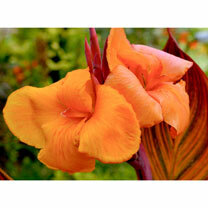 Yes, you can grow cannas in England! 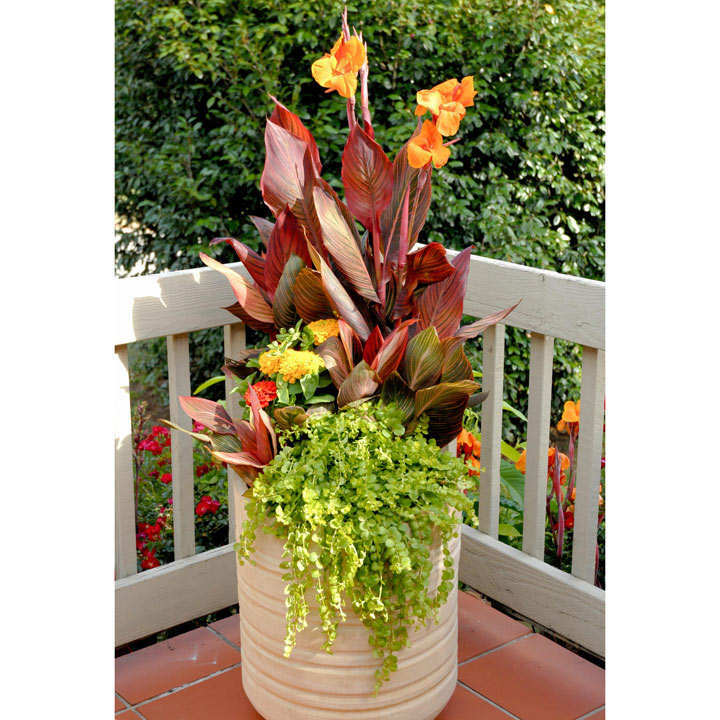 These are strong plants with amazing summer presence. They love especially to grow in moist soils or the edge of ponds. Flowers June-September. Height 1-1.5m (3'3"-5'); spread 70-80cm (28-32"). Tropicanna - Each leaf is variously striped in green, purple, orange and pink with fancy orange blooms. Supplied in a 2 litre pot. 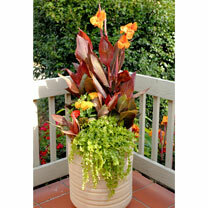 Create that totally tropical look!